Although one of his titles is “Head Team Physician of the Chicago Bulls,” Dr. Brian Cole examines bodies, not heads. Had he taken another tempting career path, however, he might have been doing just that. 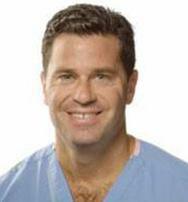 Dr. Brian Cole collaborating with patients and bringing professionalism and thoroughness to the field.